Today however, I have the luxury of having had a week to consider the impact of the reports as well as — a full week later — the first direct reply from Ravi himself. I think the first question to be answered, if not today over the long haul, is that as scandals go, was this the real deal or a bit of a tempest in a teapot? I would argue that Ravi Zacharias will survive this with his ministry reputation more or less intact. Academic credentials do matter. Last summer (2016) we took some fun pictures of me “lecturing” at Trent University and in the chapel at Tyndale College and Seminary and a few other places. It was a lot of fun standing behind the podium and “speaking” at those fine institutions. Truth is, both were taken on Saturdays and there was no one in the audience. We’d all like to think our accomplishments are larger than they are. (We never did anything with those photos.) So saying that you were granted “visiting scholar” privileges at a prestigious UK school is probably legit if someone did indeed arrange for you to attend lectures there. But it gets dicey if you know that “visiting scholar” is actually a very specific title; the word itself implies the granting of a scholarship. 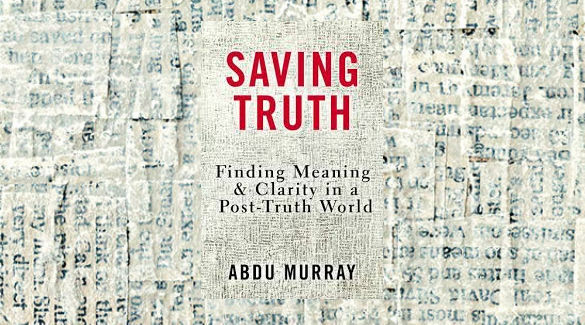 Furthermore, the relationship between affiliated schools — a key factor in a couple of elements of Ravi’s [former] biography can often be complicated. For example, my undergraduate degree is from the University of Toronto, but it is a federation of colleges; mine was Victoria University. If I had returned to graduate work at Wycliffe College to work on a masters degree, I would also have been part of the Toronto School of Theology which is the federation of theological colleges (including Trinity, St. Michaels, Knox, etc.) all of which are located — wait for it — at the University of Toronto. (And even that sentence is ambiguous; it begins “if I had returned” when in fact I mean returned to the campus overall; if you check, Wycliffe has no record of me.) If I really want to stretch things, I also attended Oxford in England and the Eastman School of Music in Rochester, but my time there was quite limited due to the tour bus idling in the parking lot. It’s easy to embellish one’s record. Or even to want to do so. The first rule of human resources interviewing is to look at the resumé and determine if the prospective employee exaggerated any of their employment or educational claims. True Christian humility would be to downplay any degrees, but in the field of apologetics, some type of academic clout is expected. Years ago, I wrote a bullet-point list of all the things I had done, but probably only about one in ten of those would be elements of a resumé. Those experiences were significant to who I am and what I have to offer, but many of them were unique opportunities that are harder to quantify or document. As to the sexting part of last week’s story, there are two very contradictory elements which may get forgotten. One is the report that the legal action connected to this originated with Ravi, not with the woman. There is an admission of some type of settlement, but so far, the statement stands that no funds from RZIM were involved. Yes, it’s confusion. Links: Rather than place links at various stages of this article, at present you can get everything you need at the bottom of this article at Spiritual Sounding Board. Then click that website’s header to see the most recent posts. The response from Ravi is summarized at this article posted mid-afternoon Sunday (12/3/17) at Christianity Today. …Qureshi made the official announcement of his cancer diagnosis August 2016. “This is an announcement that I never expected to make, but God in his infinite and sovereign wisdom has chosen me for this refining, and I pray he will be glorified through my body and my spirit. My family and I have received the news that I had advanced stomach cancer and the prognosis is quite grim,” he said in a Facebook post. 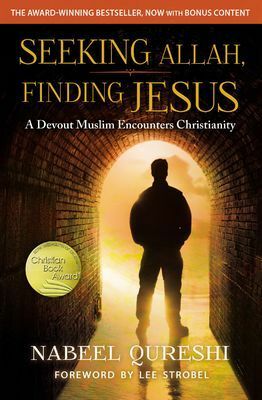 Nabeel Qureshi was the author of Seeking Allah, Finding Jesus, Answering Jihad, and No God But One, and was a sought-after speaker and radio talk show guest. 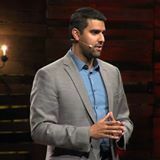 …September 16, our dear brother in Christ Nabeel Qureshi went to be with the Lord following a year-long battle with cancer. We received this news with deep sadness and yet profound hope that he is finally and fully healed in the presence of his Savior. Please join the RZIM team in praying for Nabeel’s wife, Michelle, and his daughter, Ayah, as well as for his parents and extended family. We know this is Nabeel’s gain, but a tremendous loss for all those who loved him and were impacted by his life and testimony on earth. ‘Eye has not seen, ear has not heard, neither has entered into the heart of man, the things that God has prepared for them that love him,’ 1 Corinthians 2:9 promises. We are grateful for the outpouring of love and support shown to Nabeel and his family over these past several months, and we ask that you continue in prayer in the days ahead. May God bring comfort as we cling to our eternal hope in Jesus Christ. Tributes continue to pour in on Twitter. A GoFundMe campaign started four months ago will now continue to provide support for Nabeel’s wife and daughter. To read my son Aaron’s reflection on how the life and death of Nabeel personally impacted him, click this link. A consideration of “spontaneous” baptisms. That’s how they did it in the book of Acts, so why not now? 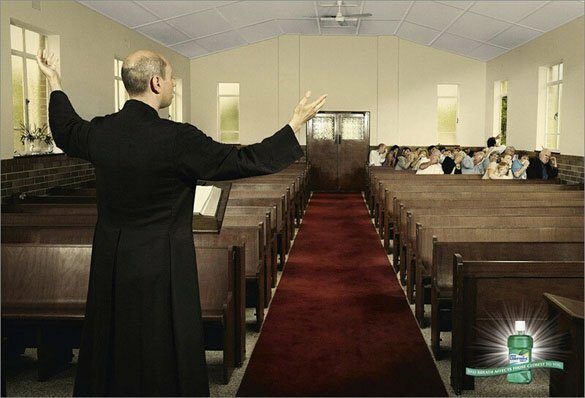 A look at the “spoken word” genre in church. It’s not poetry because it isn’t meant to read, but rather spoken. A 30 minute podcast with uber-blogger Michael Hyatt on responding to negative people. A warning about wolves! Lee Grady reminds us all that there are Christian con-artists out there. A video from a 100 Huntley St. interview with Ravi Zacharias Ministries lead Canadian apologist Andy Bannister. A post in a continuing series of reminders that sometimes the serious side of Jon Acuff has as much to offer as the humorous. A website for Steeple Envy, a new book on the obsession some pastors have with church and building size by pastor and author Victor Cuccia. A CT article with three views wrestling with voting for a Mormon for U.S. President, if that’s an issue where you live. A somewhat related history article about the original Mormon vision for the state of Deseret. A video obituary for the founder of the Unification Church, Rev. Sun Myung Moon who died on the weekend. A YouTube channel devoted to very early CCM from the ’60s and early ’70s. A word of encouragement and hope at the blog Pursued by God for Christian Singles. A rather amazing interview with Justin Lee, author of Torn:Rescuing The Gospel from the Gay vs. Christian Debate, and founder of the Gay Christian Network. A good “…and finally in the news” item: A mixed martial arts fighter and reality show host was jailed on suspicion of burglary last month after deputies responding to reports of a break-in said they found him naked inside a Southern California church. A thank-you to our two graphics providers (top and bottom) whose links are found when you click the images. I’m currently in the middle of one of those extensive cleanups where you find all sort of things from the past, in this case Connection, a 14-year old newsletter from Tyndale University College and Seminary in Toronto. While we face challenges Ravi didn’t mention — particularly issues of gender and sexual orientation, the European economic tensions, political instability in the middle east — his words to the Christian university audience were certainly prophetic. Read some of Ravi’s popular quotes here at C201 and learn more about his ministry at RZIM. So let’s start with Ed Young’s Pastor Fashion blog. We’re being set up here, right? Mind you, the fashion blog and Ed’s regular blog contain the same spelling error: Taking something to a whole other level, is whole, not hole. And that is him in the videos. So maybe this is serious. Besides, it’s not April 1st. With all the drug war violence in the news, six people weigh in on the subject of safety issues implicit in missions trips to Mexico. And speaking of youth groups, Rachel Marie looks back realizing that something was seriously missing from body image pep talks. If Christianity is nothing more than a “hell avoidance system,” then obviously it comes crashing down if there is no hell. That’s the subject of Hellbound – The Movie releasing in September. On the world stage, two of the weekend’s religious news stories involved Twitter, in Pakistan and Kuwait. 36 faculty have resigned from a Baptist college in George over its new lifestyle statement. Podcast aficionados: Ravi Zacharias guested at John Ortberg’s church on the weekend. Sermon audio podcast is available. Nominated for four Billboard Music Awards in April, the band Casting Crowns went on to take Best Christian Artist and Best Christian album on Sunday night. Not surprisingly, top Christian song was “Blessings” by Laura Story. Know someone 15 or older who has left the church? They may fall into the prodigal, nomad, or exile category. Here are six things to consider which might minimize the exodus. On the contrary, here’s a woman who left church around age 16, has lived that much lifetime again, but now finds herself missing God. John Shore responds. From our leftover from April files, the creator of Veggie Tales is planning a new project and it’s not for kids. Learn more about the Phil Vischer Show. I had never actually seen the site Truthinator until Monday. It’s supposed to be “humor,” but after a few posts you realize you’ve never seen so much hate on a so-called Christian blog. Looking for more reading? There’s eight great links from Saturday’s Weekend Link List. Finally, if the t-shirt above isn’t exactly what you had in mind for a Father’s Day gift, if Dad thinks the local church choir sounds like a bunch of howling cats, the image below includes a link where you can buy a 8″ X 10″print of the choir in question for only $25.